Those buying new postpaid connections from BSNL by paying advance rental for three, six and 12 months will get discounts under the scheme, called 'Loot Lo Offer'. BSNL or Bharat Sanchar Nigam Limited has announced a limited-period scheme to offer up to 60 per cent off on advance payment of rental under select postpaid plans. Those buying new postpaid connections from BSNL by paying advance rental for three, six and 12 months will get discounts under the scheme, called 'Loot Lo Offer'. This was said by the telecom company on microblogging site Twitter. Customers eligible for the 'Loot Lo Offer' will also get waiver of security deposit and activation charges/SIM charges, BSNL said. "Buy a new #BSNL postpaid Mobile connection with advance rental & get up to 60% off on Rentals with our LOOT LO OFFER," BSNL said. The Loot Lo offer is valid till November 30, 2017, the state-run telecom company said. The Loot Lo scheme is applicable on seven plans - starting at Rs 225 (excluding GST), according to BSNL. Customers subscribing to BSNL's Rs 225 plan under the scheme will get a discount up to Rs 540. Under the 12-month advance rental option, the customer will be charged Rs 2,160, instead of Rs 2,700 under the Loot Lo Offer - a discount of Rs 540, according to BSNL. Those paying the advance rental for a period of six months will get a discount of Rs 108. Customers going for the three-month advance rental option will have to pay a discounted Rs 648 instead of the actual amount of Rs 675, BSNL noted. Those taking the Rs 325 plan with the 12-month advance rental option will get a discount of Rs 975. Instead of the actual cost of Rs 3,900, customers will have to pay a discounted Rs 2,925 under the Loot Lo Offer, according to BSNL. Similarly, those opting for the six-month option will get a discount of Rs 195 while the three-month option will offer a discount of Rs 48, according to BSNL. The discounts offered for the Rs 525 plan start at Rs 158, for the three-month advance rental scheme. Those opting for the six-month option will have to shell out a discounted Rs 2,520, instead of the actual cost of Rs 3,150 - a discount of Rs 630. The discount will extend to Rs 2,205 under the 12-month option. BSNL offers a discount of 50 per cent to customers opting for the 12-month advance rental option under the Rs 725 plan. Under the Loot Lo Offer, customers will have to pay Rs 4,350 against the actual cost of Rs 8,700 if they choose to pay advance rent of 12 months for the Rs 725 per month (without GST) plan. Those offering to pay the advance rental for six months will get a discount of Rs 1,740 while customers opting for the three-month option will get a benefit of Rs 544. 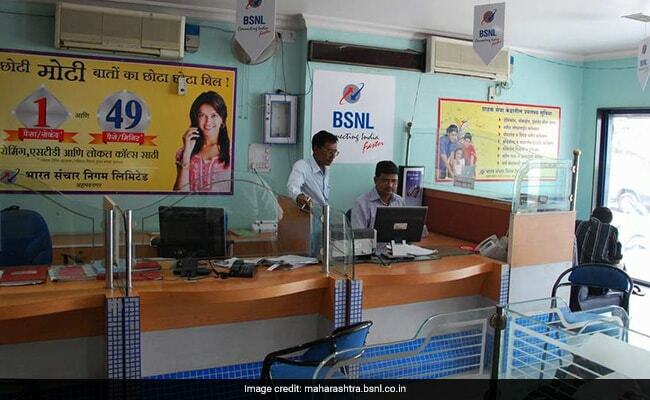 If you subscribe for BSNL's Rs 799 postpaid plan, you will have to pay Rs 4,794, instead of Rs 9,588 for paying advance rent of 12 months - a 50 per cent discount, BSNL said. Under the six-month advance rental option, the customers will get a discount of 40 per cent. Those opting for the three-month plan will get a discount of Rs 599, or 25 per cent. Those opting for the 12-month advance rental option to subscribe to BSNL's Rs 1,125 monthly rental plan will get a discount of Rs 8,100 - 60 per cent off compared with the actual cost. Customers under the Loot Lo Offer will be paying Rs 5,400 to take up this option instead of the actual cost of Rs 13,500. Customers taking up the six-month scheme will get a 45 per cent discount while those taking the three-month one will get a 30 per cent discount. Customers subscribing to BSNL's Rs 1,525 monthly rental plan with the 12-month advance rental option will get a discount of Rs 10,980, which is 60 per cent of actual cost. Under the 12-month scheme, the customer will pay Rs 7,320. Similarly, customers opting for the six-month scheme under the Loot Lo Offer will get a 45 per cent discount while those going for the three-month advance rental scheme will get 30 per cent, according to BSNL.